We pride ourselves on our unbeatable service. technical support has earned us our first-rate reputation. and treatment planning and serve as a complement to written records. Appliances — 5 working days in lab. Functional Appliances — 7 working days in lab. Study Models — 5 working days in lab. Appliances are repair/replaced within 60 days due to defective material or workmanship. We provide courier services and supply mailing labels & boxes. Postage will be charged per box (from & to your office). 3D printing takes the efficiencies of digital design to the production stage. 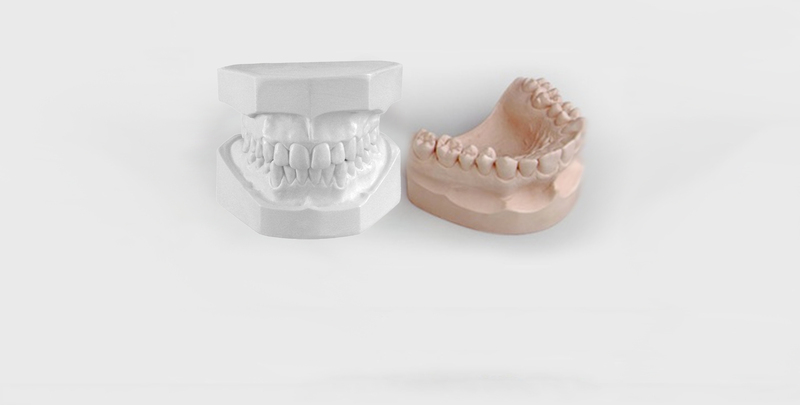 By combining oral scanning, CAD/CAM design and 3D printing, we can accurately and rapidly produce multiple types of orthodontic models, bite splints, retainers, surgical guides, partial denture framework, acrylic models, dental models and thermoforming aligner models.